NTN professional testing services helps departments hire better qualified candidates. Departments are continuously challenged to recruit, test and select public safety candidates for critical positions in their organizations. This process is closely scrutinized, must meet all legal and professional guidelines, and must provide quality candidates for consideration. Given limited budgets, applicant screening can be difficult to accomplish. At National Testing Network, we have created a more cost effective, efficient and effective way. National Testing Network, Inc. (NTN) provides continuous professional testing services for public safety departments. NTN services are easy to implement and will maximize departments' ability to identify quality candidates while minimizing internal workload and reducing budgets. Through NTN, departments download a list of qualified, prescreened candidates at their convenience. NTN eliminates department resources spent on scheduling, candidate check in, proctoring exams, buying or creating tests and processing answer sheets. NTN does not replace the authority of making hiring decisions. National Testing Network simply performs all of the administrative functions throughout the testing process and provides professional testing oversight of the entire process. NTN provides departments with all the key information needed to make informed decisions and to further process only those candidates who have passed nationally validated selection tools. The exam process is closely monitored by professional testing experts with Ph.D.'s in Industrial/Organizational Psychology to ensure the process incorporates industry best practices and is highly defensible. National Testing Network instantly impacts a department's testing process by providing more testing times and locations for applicants, by handling all candidate scheduling and questions, by compiling candidate and test results and by expanding testing capabilities nationally. NTN offers an applicant testing model designed to significantly save time and money for organizations, as well as, increase the convenience for candidates. Currently, NTN offers hundreds of test sessions per year throughout the United States and is continuing to expand with new testing locations. SACRAMENTO, Calif. - Feb. 13, 2018 - PRLog -- National Testing Network, Inc. (NTN), the leader in outsourced employment testing for public safety departments, announces a strategic partnership with the California Police Chiefs Association. DUBLIN, Ohio - Feb. 28, 2018 - PRLog -- National Testing Network, Inc. (NTN), the leader in recruiting and employment testing for public safety departments, announces a partnership with the Ohio Association of Chiefs of Police (OACP). If you're already signed up with NTN, sign in here. 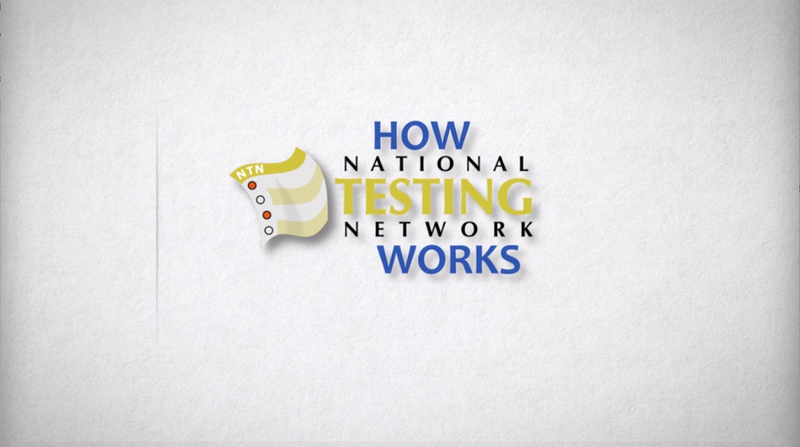 Get more information about using National Testing Network's services or becoming a testing center.